Whether you're new to nature studies, or an old pro, this nature study curriculum is simply the best! Deciding it's important to conduct nature studies in the winter is one thing. Knowing how to do it is an entirely different thing. If you're new to nature studies, or have run out of ideas - or maybe you just need an out-of-the-box feel to your nature studies, this is your day! At Our Journey Westward, you'll find nature studies for every season, so finding something to study in the winter is easy-peasy! Study snow and ice in the winter. Outdoors you will explore the properties of snow and ice. Your kids will do experiments with temperatures, wind chill, and friction. There are plenty of arts and crafts to be done indoors with this cross-curriculum study. You'll study snow storms, blizzards, and so much more. There are even 14 notebooking pages included! Learn how animals survive in the winter. Winter is the perfect time to learn about adaptations, migration and hibernation. It's also the perfect time to look for animal tracks, find burrows, and so many other things that only happen in the wintertime. Coping with the Cold offers plenty of project and observation opportunities. Go green! Study conifers in the winter! While many plants lose their greenery in the winter, you won't have to worry about that with coniferous trees. Learn the parts of the tree including cones, leaves, branches and sap. Keep the kids busy indoors with dissection, making models, creating graphs, and making crafts. A conifer study is a terrific way to add a little color and plenty of activities to your kids' winter. Winter studies when you live in a warm place. I'm in Florida. Guess what we don't have. Yeah. We don't have snow, ice, or animals that cope with the cold. In that case, you'll need to adapt the studies or even choose one of the many other unit studies at Our Journey Westward. I also recommend owning field guides and other books suitable to your area. For instance, I use The Young Naturalist's Guide to Florida to teach my kids about our very unique animals, weather, and plants. Nature studies, art, curriculum - I have plenty of tips and ideas! Subscribe here to have them delivered to your email inbox! 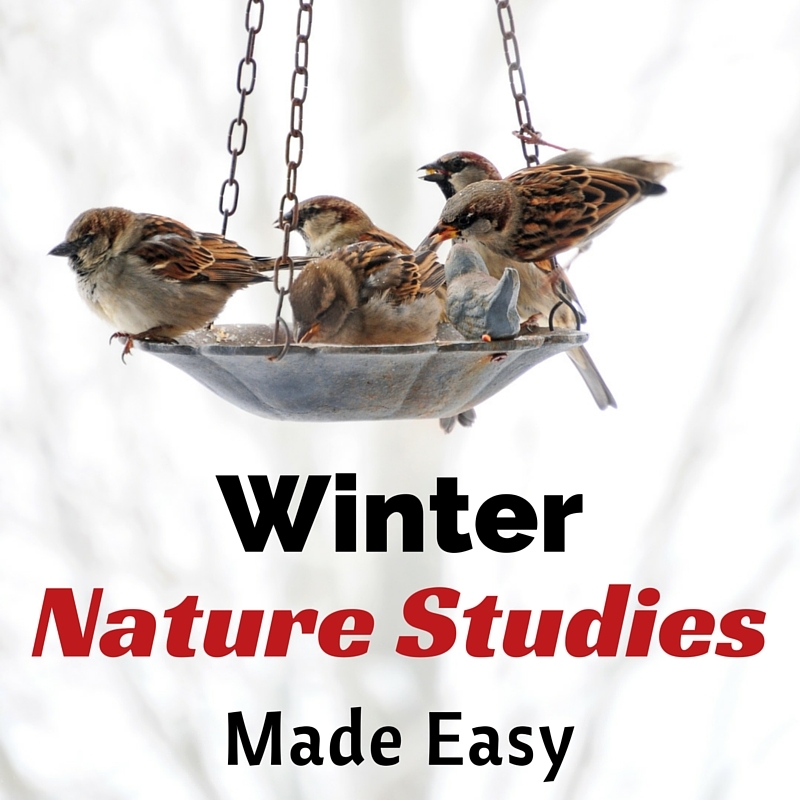 We love nature study, and winter is a great time to get outdoors and observe nature!